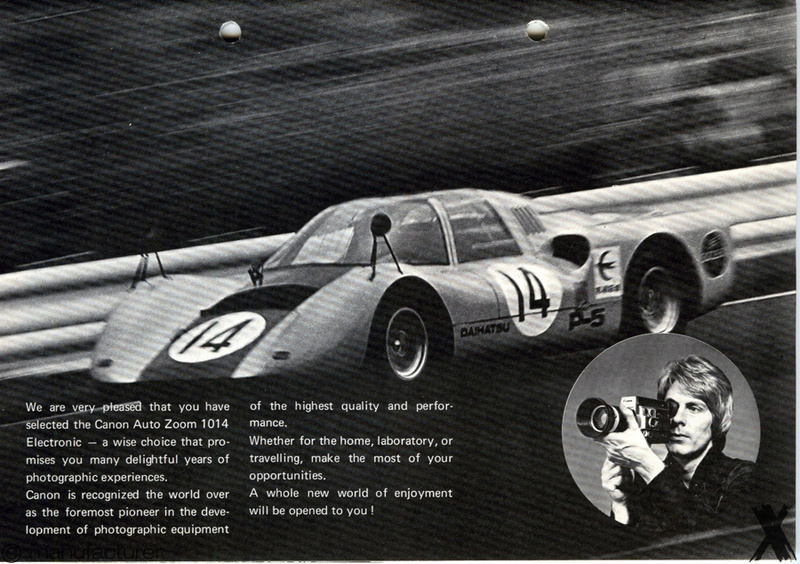 dirty side battery contact, cleaned. 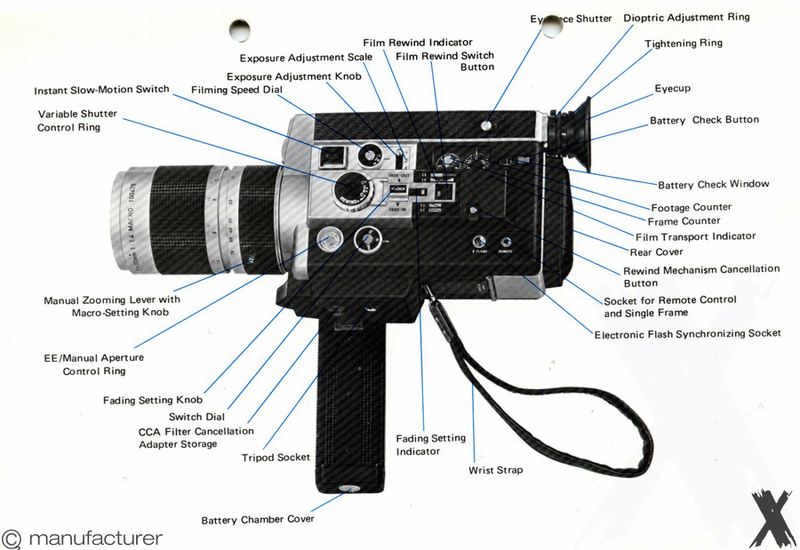 A movie camera with full range of creative functions. 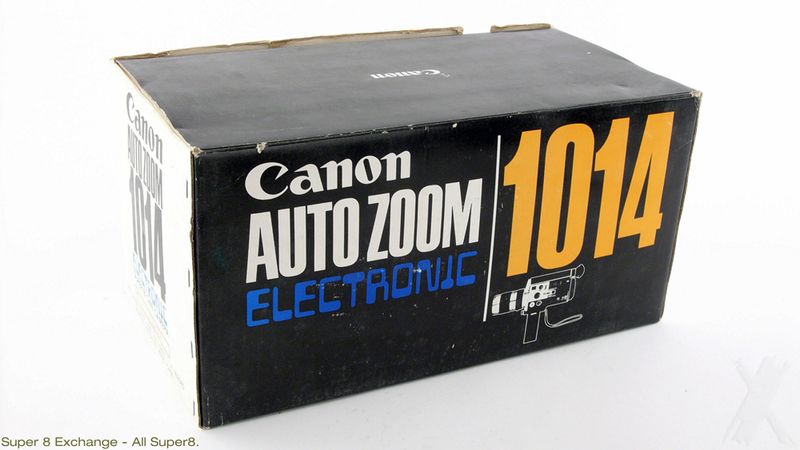 The Canon Auto Zoom 1014 Electronic is an 8mm system movie camera of the very best conceivable quality. 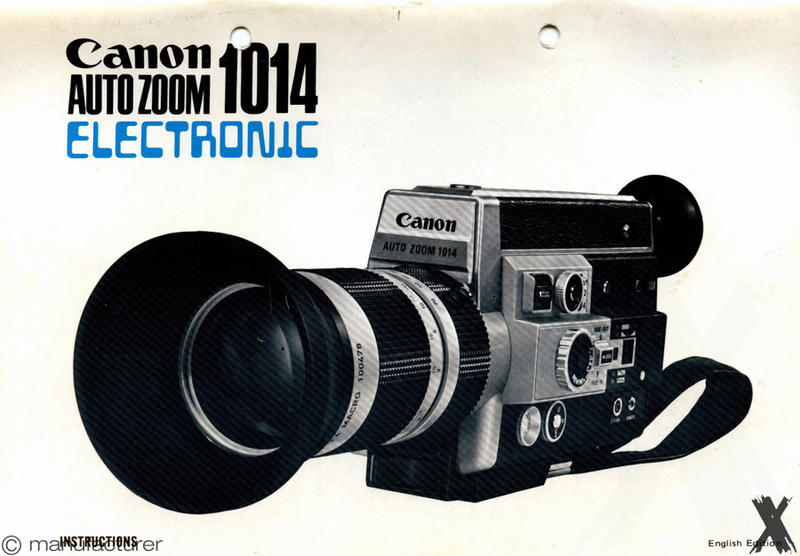 In it Canon has endeavoured to satisfy the requirements of the most up-to-date, professional-minded movie makers. 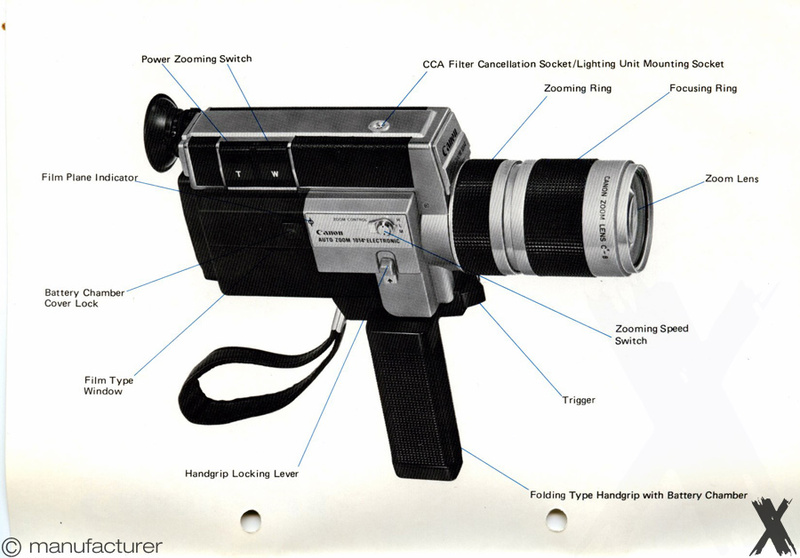 Equipped with an f/1.4 10x zoom lens, TTL servo EE system, macro-shooting capability, variable shutter control for fading, rewinding mechanism for lap issolve (the best one ever made) and super imposition, magnetic release for remote control and synchronized flash.